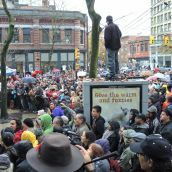 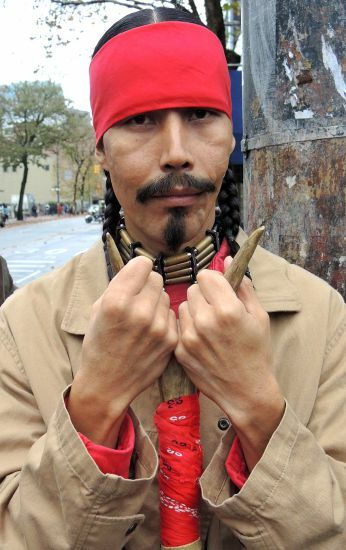 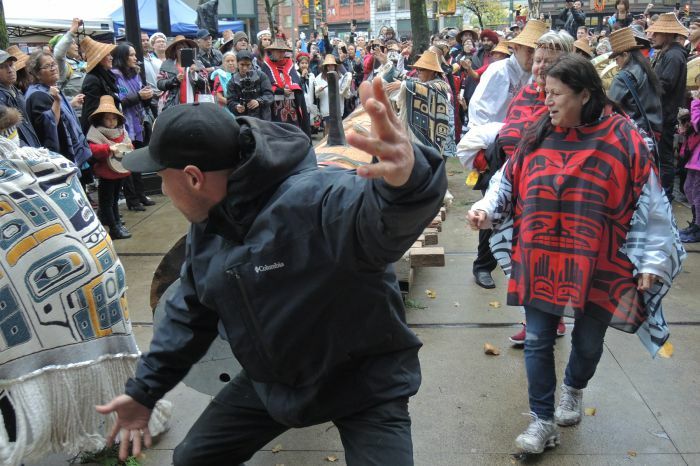 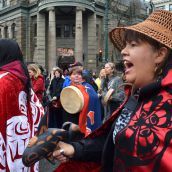 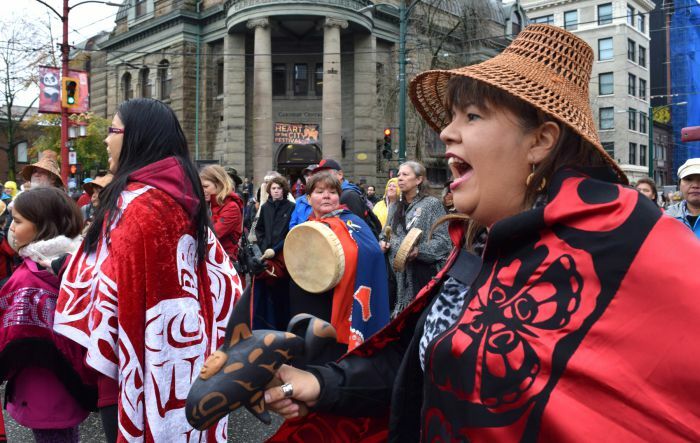 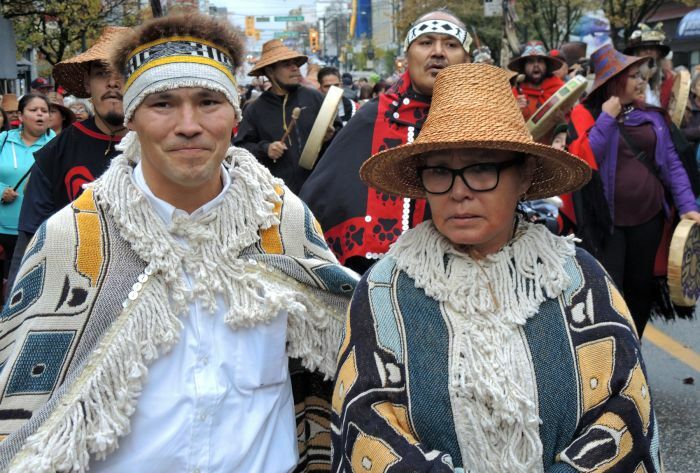 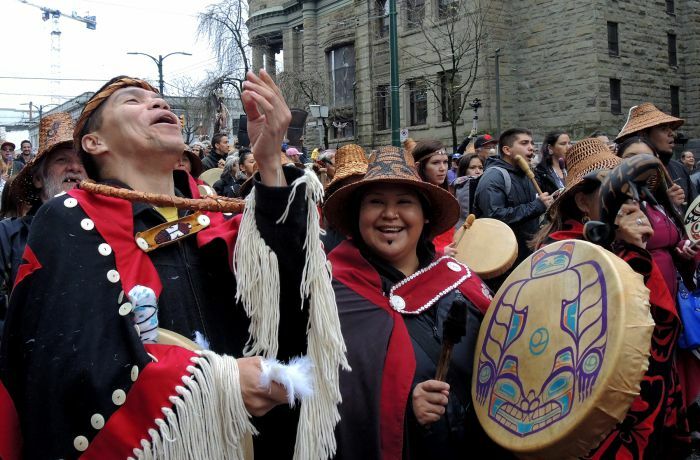 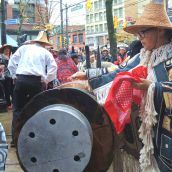 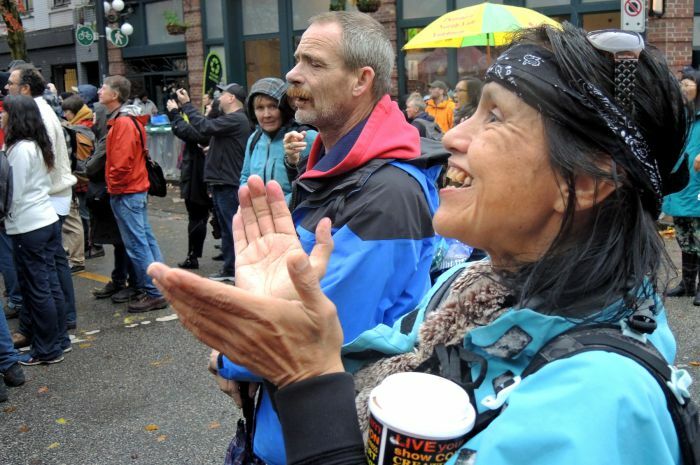 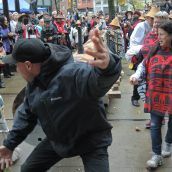 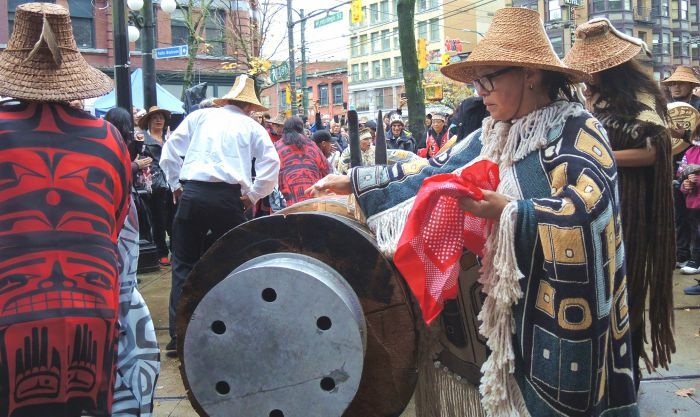 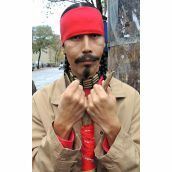 COAST SALISH TERRITORY - A monument to those who have fought racism and injustice was erected today in the heart of Vancouver's Downtown Eastside. 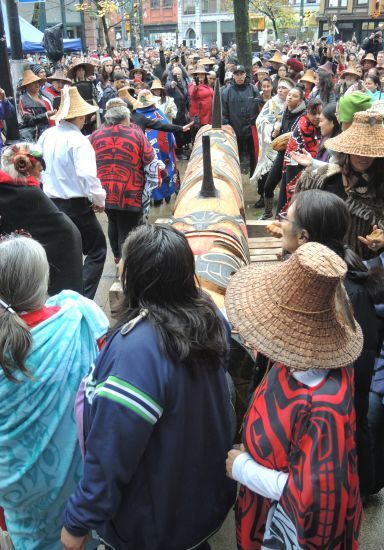 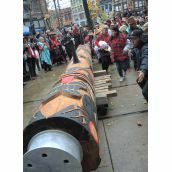 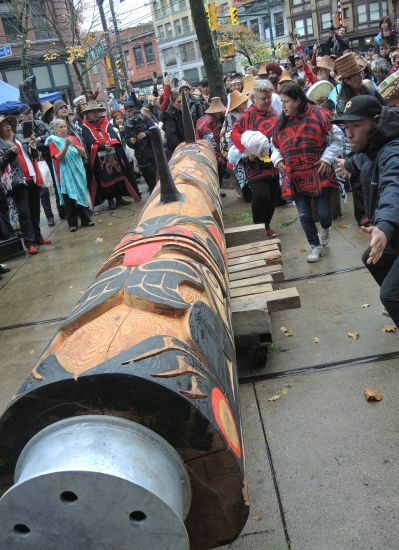 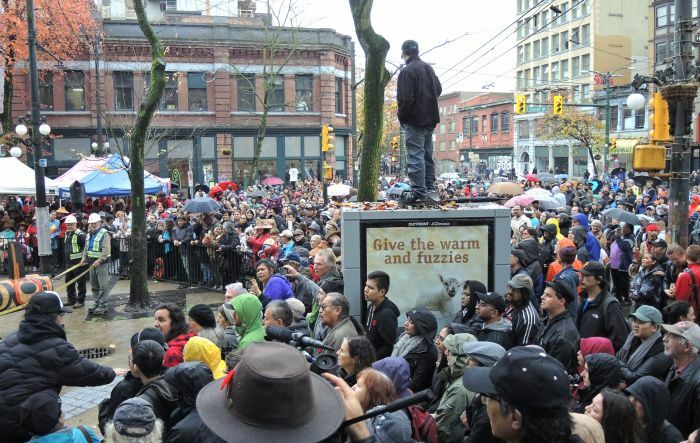 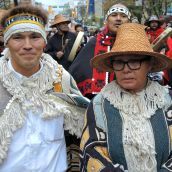 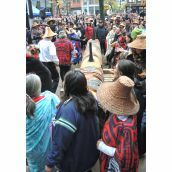 The nine-metre-long totem pole by revered Haida carver Skundaal (Bernie) Williams was carried down East Hastings Street and erected in Pigeon Park this afternoon as part of the Heart of The City Festival. 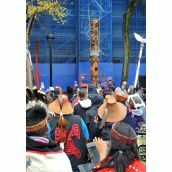 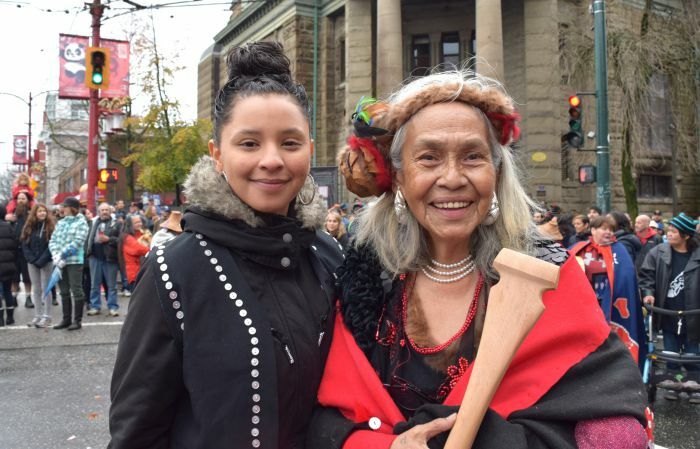 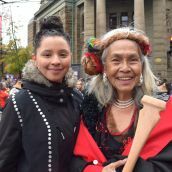 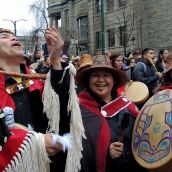 The pole was made to commemorate the resiliency of residents of the Downtown Eastside, especially the many who have faced racism, colonialism and gentrification, sexism and more. 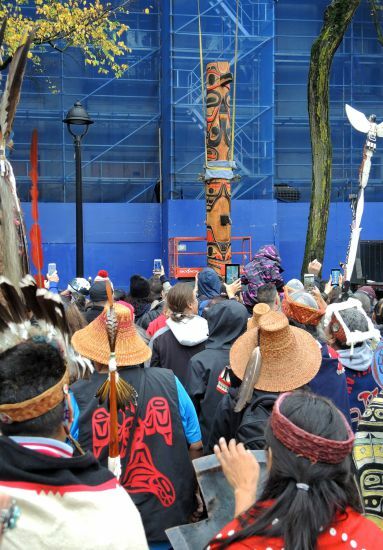 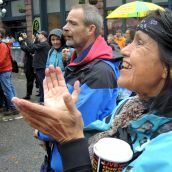 Years in the making, the concept and the totem itself went up to cheers from the more than 1,000 supporters gathered to witness a event that many thought would never happen.